Put the milk, dates and beet in the blender. Then warm up in a saucepan. 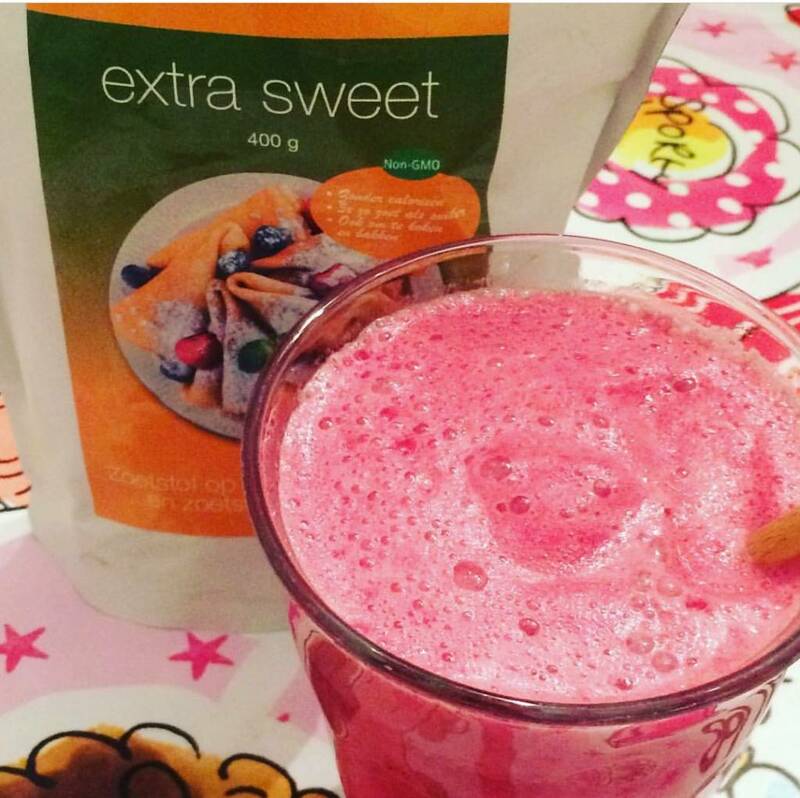 Transfer into a glass and sweeten with Greensweet Extra Sweet. Stir it through the warm milk!